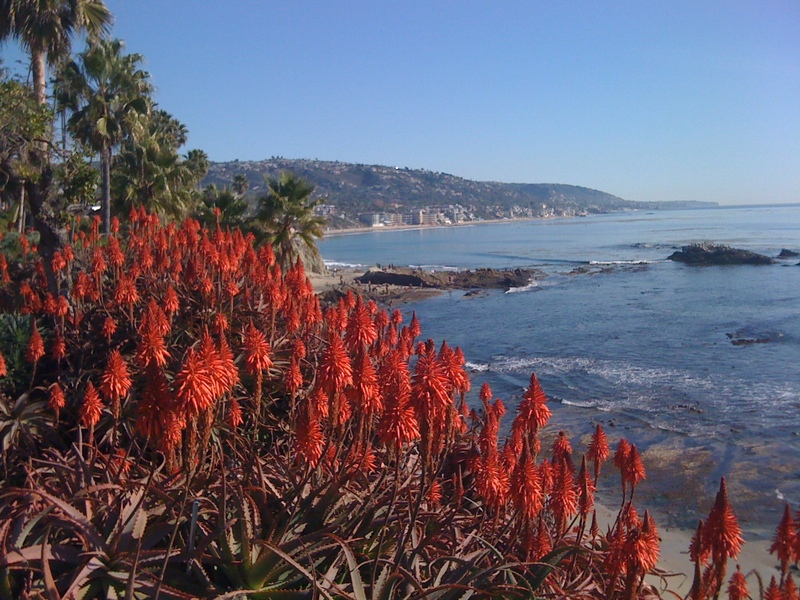 this mid-winter photo of Laguna Beach! If you want to retire someplace that is sunny most of the year, there are plenty of locations available in the United States. AARP, the American Association of Retired People, compiled a list of sunny places to retire. Since many retirees wish to live in a location where they can get outdoors the year around, this list will be a good place for them to start their search. In order to make their list, the city had to have at least 250 sunny days a year, and have plenty of activities that are popular with retirees. They also had to have a low crime rate, a strong local economy and a generally healthy lifestyle. Since I have either visited or lived in several of these communities, I thought this would be a great opportunity to add some of my own comments about the cities they chose. If you have additional thoughts about these communities, feel free to express them in the comments section. The home prices listed here were the prices in about 2012. You can assume that most of the prices are a bit higher today. Asheville, North Carolina: This community in the Blue Ridge Mountains is in an area where some of our friends live. The community has museums, a live theatre, and frequent art fairs. The average home sells for about $248,000, and the median income is $34,457 ... which puts in within the range of many retirees. Surrounded by mountains and lots of outdoor space, this is a lovely area. Although it may be sunny most of the year, it does get cold in the winter, so be prepared! Grand Junction, Colorado: This small city of 58,000 people is located in the high desert area of Colorado. The average house costs $270,000, and the median income is $47,761. For someone who wants sunshine, along with golf, hiking, ice fishing and skiing, this is the ideal location for you. You get wide temperature swings in Grand Junction. In the summer it can average 93 degrees; in the winter you can have snow and ice. Sarasota, Florida: My husband grew up in this area along Florida's Gulf Coast. Sarasota is a great town for people who have dreamed of retiring to the beach. Sarasota has a population of 52,000. The homes are quite expensive ... over $530,000 on average ... but the median household income is $36,742, so people are obviously finding affordable places to live. If you go outside the town of Sarasota, you may find some better home prices a bit inland, and still be within easy driving distance of the beach. The temperature gets quite hot in the summer, but is pleasant and mild in the winter. San Diego, California: San Diego is actually a large city with a population of over 3 million people. We have lived there, as has one of our daughters. We currently live in Laguna Woods Village, a small retirement community about a one hour drive north of San Diego. The photo above was taken by me from the cliffs along Laguna Beach, only 4 miles from our home in Laguna Woods Village. All of Southern California actually has sunny weather and mild temperatures the year around. If you are considering retiring to San Diego, you might cast a wider net and look at places to live from San Diego in the south to Santa Barbara in the north. There are hundreds of wonderful, sunny small towns throughout Southern California, and most of them are within an easy drive to the beach as well as museums, theatres, and many fun activities. Unless you are willing to live inland, home prices in Southern California are expensive. For example, the average home price in San Diego is $646,000. However, prices drop substantially as you move inland. Some of the retirement communities are quite affordable, too. While home prices in Laguna Beach average over $1,000,000, condominiums in nearby Laguna Woods Village have an average price of about $250,000. Sunshine, beaches and outdoor activities like golf and tennis are plentiful throughout Southern California. Las Cruces, New Mexico: Las Cruces is almost always sunny. In fact, it is sunny an average of 350 days a year! AARP Magazine actually lists Las Cruces as a "retirement dream town." Home prices average only $178,000 and the median household income is about $37,471 ... well within the means of many retirees. There are plenty of recreational activities, too! It is a lovely, charming community that is very appealing to people who want to live in the Sun Belt. I have driven through Las Cruces during cross-country trips, and it does get quite hot in the summer! San Luis Obispo, California: San Luis Obispo is often nicknamed SLO ... and the nickname fits. It is a very relaxed, slow-paced small city, and absolutely lovely. My husband's sister has retired nearby in the small town of Avila Beach, one of several charming beach towns near SLO. San Luis Obispo was actually named one of the happiest places in the world by writer Dan Buettner in his book "Thrive." The average home in SLO sells for $695,000 and the median household income is $38,000. There are affordable places to live there, although the cost of living is higher than other places on this list. St. George, Utah: This small community is about 130 miles from Las Vegas, the nearest large city. The average house sells for $311,000 and the median household income is $46,000. This is a beautiful area, with golf courses and gorgeous vistas. About 70% of the residents are Mormon, and there are only two state-owned liquor stores in the area; so, if you are a big drinker, this may not be the best community for you. Another concern is the fact that the nearest major medical center is in Las Vegas. However, most residents have long life expectancies, so this may not be a concern for you! Santa Fe, New Mexico: Santa Fe is a fascinating mixture of Spanish, Native American and modern American cultures. It is an artists' colony, as well as a mecca for people who love music, including the symphony and opera. The average home sells for $433,000 and the median household income is $52,000. It is a small city, with a population of only 68,000. In addition to modern medical facilities, this is also a popular location for alternative healing and holistic medicine. It has been listed as one of the 10 healthiest places in the US to live! Bend, Oregon: Bend is the sunny inland area where many residents of Oregon travel to get out of the frequent coastal rain. It is in the high desert, about two hours southeast of Portland. The average home price is $427,000 and the median household income is $53,177. One of the upsides of living in Oregon include paying no state taxes on your pension income. Fort Worth, Texas: My husband and I lived for 25 years in the Dallas-Fort Worth area of north central Texas, and we have a number of friends who have chosen to retire in that area. The summers get very hot ... often over 100 degrees. The winters tend to be mild, although so-called "Blue Northerns" do occasionally bring frigid temperatures to this area of Texas. However, people can golf, play tennis, go boating and enjoy other outdoor sports almost the year around. This area of Texas is surrounded by over 100 lakes, so you may want to expand your search outside the major cities to some of the lovely lakeside subdivisions in the area. Within the city of Fort Worth, the average home sells for $148,000 and the median household income is $47,634. Texas also has the advantage of no state income taxes at all, although property taxes are higher than in other states. If you want to enjoy sunshine most of the year, any of these communities could be a good choice for you. Remember to expand your house hunt outside the immediate area of the towns and cities mentioned. There are a lot of wonderful communities in the U.S. sunbelt! If you know of other communities that may interest readers, feel free to mention them in the comments sections. If you are looking for more retirement ideas, use the tabs or pull down menu at the top of the page for links to hundreds of other articles on a wide variety of topics of interest to retirees and Baby-Boomers. 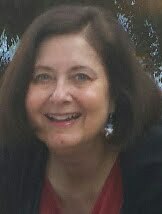 You are reading from the blog: http://www.baby-boomer-retirement.com. Photo from personal collection of author. Great information about these locations. I've always thought of Oregon as a primarily rainy place. Thank you for the education! I was surprised to find a location in Orgegon on this list from AARP, too! In addition, I was pleased that they included a location in Colorado, for those people who love winter sports. It's nice to know you can have sunshine most of the year, and enjoy some of the northern states, too!